For parents, there is probably nothing better than spending a holiday together with the kids. And the kids love to travel when on holiday with the parents. And sometime later, both parents and children will love to remember their first holiday together, as it is particularly memorable. But before starting the holiday, parents are concerned about how travel to their holiday destination safely with their loved ones. Of course, this always depends on whether the parents travel by car or by plane. In the following article you will learn everything you need to consider if you drive or fly to your vacation destination with your children. Generally, the ultimate goal is to make the journey in the car as safe and comfortable as possible for the children. Among other things, this can be achieved by giving your child distraction while driving and avoid stress factors such as traffic jams as much as possible. To do so, you can already check the traffic density on your route beforehand on the Internet or the radio and change it if necessary. When traveling by car, you must always seat your child on a baby or child seat. The use of a baby seat is particularly suitable for children weighing less than about 13 kg. It is important to note the maximum weight of the baby seat and not to exceed it. It is also important to always attach the baby seat in the opposite to your travel direction. 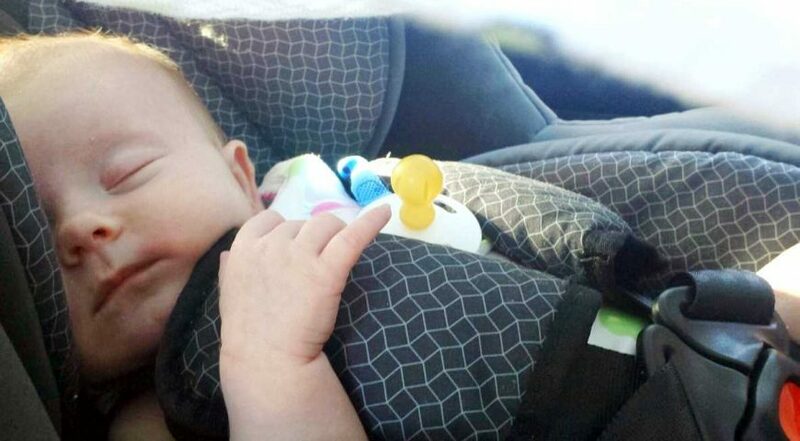 When installing the baby seat on the front passenger seat, be sure to deactivate the front passenger airbag. Otherwise your child may seriously be injured when the airbag is triggered. The advantage of using the baby seat is, among other things, that in case of an accident, the load on the child is not as high in the rearward mounting as it is in a normal child seat. If your child has reached the age of 12 or is taller than 150 cm, then the use of a child seat for car trips in not required anymore. This rule is valid in Germany. However, these rules differ abroad. In Austria, in example, the child must be at least 14 years old. In Spain your child has to travel by car in child seat if it is smaller than 135cm. Until some years ago, a child seat had to be used for kids under 12 years. But this rule was abolished in 2015. Otherwise, there are no further regulations for the use of a child seat in Spain. To your information, this rule also applies in Gran Canaria and all other Spanish islands. If you rent a car in Spain, you can use your own child seat in most cases. Bear in mind, however, that the child seat must be transported as bulky luggage during the flight. This may cause high expenses on the one hand and your child seat can also be damaged when loading and unloading the luggage. Consider, however, that your child seat may not be suitable for the rented car. This could be the case especially if you use a child seat with Isofix, but the car has no Isofix connection gear. The easier alternative would be in this case to book the child seat directly through the rent a car company. Most major companies now offer their own baby and child seats for rent. Usually these can already be booked when ordering your car online. If this is not possible, a short call to the car rental company is usually enough to find a solution. Now days, most airlines also offer the use of child seats on the plane. The certified child seat must be installed on a separate seat in the aircraft. Although in general children under the age of 2 are not entitled to having a separate seat on board of an aircraft, some airlines already make exceptions. In this case, it must be ensured that the child seat can be used in the aircraft. This can be recognized by a certified seal “for use in aircraft”. Especially on longer flights, such as to Gran Canaria or Fuerteventura, the child seat on board of the plane is the most comfortable solution for both the child and the parents. Alternatively, children under the age of 2 can take a seat on the lap of their parents with a so-called „loop belt “. However, this “loop-belt” is considered very dangerous among professionals and consequently its use is not recommended. The Loop Belt is prohibited, in example in the United States, but is still used occasionally by some European airlines. We advise you to always discuss the usage of a child seat in advance with the airline as every airline has different regulations for the use of a child seats on board. This way you avoid any unpleasant surprises and can start off your holiday in a relaxed manner.